Get submerged in the feel of divinity and spiritual tranquility by paying a visit to 108 DivyaDesams. This is an option for touring where you can enjoy the ultimate peace of life as well as visual treats. Some master pieces of great artistic works can be seen here and the place is an ideal destination for those who love shopping handicraft items. DivyaDesams in, near and around Kumbakonam gets flooded with hordes of devotees throughout the year. 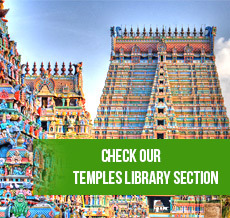 DivyaDesam are those 108 temples dedicated to Lord Maha Vishnu mentioned in the works of Tamil saints known as Azhvars. They worshiped God as the presiding deity with their hymns known as Pasurams. Azhwarswere twelve supreme Lord Vishnu devotees, who played crucial role in spreading Vaishnavismduring 5th to 8th centuries A.D.
India houses 105 DivyaDesams and Nepal houses 1.It is believed that 2 of the remaining temples are in the heavenly world called Thirupparamapatham and Thirupparkadal. Only blessed souls are fortunate to worship these two temples after demise to submit themselves under the feet of Lord Narayana. Worshiping God with chants and songs is called "Mangalaasaasanam". These Hymns were later on brought together by NaadhaMunigal, one of the greatest saints. NalayiraDivyaPrabandham is the mode in which the hymns are sung. It is a unique procedureforadmiration of Gods in all the 108 DivyaDesams. These rhymes are in simple and clean Tamil language which lucidly explains the extracts from Vedas, Upanishads and Brahmasutras etc. While most of the temples abide byThenkalai worship method, some also follow Vadakalaialong with others. Having years of experience in spiritual tourism domain, we can surely conduct amazing tour packages for you. All your needs such as food, accommodation and transportation can be taken care of. 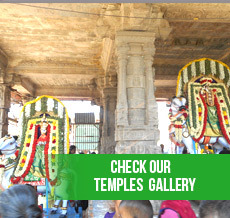 Our rates are really genuine and it depends on numerous factors, mainly the number of temples you choose. Our expertise helps us to provide you the best touring experience. Since our travel executives know the shortest routes with less traffic, all the temples can be covered within least number of days and that too in a comfortable manner without hindering the calmness of your touring experience in any manner. There are different DivyaDesam tourism packages available with us and you can choose the one that best suits your needs and budget. 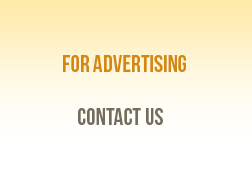 Also just tell us your exact requirements and we will provide you a specifically tailor-made package.